1. Why should I consign? 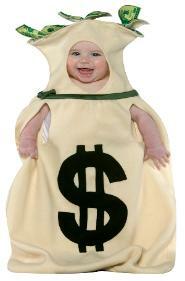 To make some money selling outgrown clothing and toys your children no longer use. You will also be invited to attend the Pre-Sale before the general public to shop. 65% to 80% of everything that sells! 3. How can I make more money than 65%? Volunteering one or more shifts will earn you as much as 72% to 80% commission. 4. Is there a registration fee to consign? Yes, registration is $8 for each Sale. We have a Spring and a Fall Sale. 5. How do I register to consign? Click the REGISTER/LOGIN link on any of the web pages. 6. Do I actually sell my items myself? 7. What can I consign? much, much more. Click the CONSIGNORS tab for more detailed information. 8. What kind of tags do I use? 9. Why would I volunteer as a "KIDZ HELPER?" commission and more as you increase your number of shifts up to 80%. 10. When is the show and how do I get there? Click the Schedules tab for dates and times as well as directions. 11. Are there any discount days during the sale? On the last day, select merchandise will sell for 50% off! 12. What happens to my items that don't sell at the show? come back on the Monday following the show's completion to pick remaining items. 13. What's at a TTB KidZ children's consignment Sale? electronics galore, books, games, strollers, cribs, furniture and the list goes on. 14. What methods of payment do you accept? 15. Do you have baskets or carts for merchandise? or a belt to it and tow it around. 16. Can I bring my children to the Sale? Yes. Please be aware that it will be very busy. Just keep an eye on them at all times. 17. What if I purchase a large item that I can not transport home right away? item(s). Please make TEMPORARY arrangements with the staff. 18. Is there a Parking Fee? A. Click "Sellers enter here"
D. Click "Items not sold only"
F. Click "Generate items list"
are wanting to transfer from. whichever show we are hosting. also uses "MY CONSIGNMENT MANAGER"
H. Click "Please select a consignment"
have participated in needing transferring.